A short sale is simply a real estate transaction where a property is sold for less than the amount owed to the lender, with that lender's permission. This is often the case when a borrower is not in a position to continue making payments on the loan, or has already fallen behind on payments. At the same time, the home's value has declined and any realistic sale price would not cover the balance on the loan. This is when a lender will consider accepting less than what is owed. Although it sounds like someone is losing money, it's more a case of losing less money than more. The longer the borrower doesn't make payments, the more the lender has to spend on taxes, maintenance, attorney fees, eviction, etc. If the occupants aren't paying the mortgage, in all likelihood, they're not fixing the leaky roof, replacing the broken windows or investing in improvements. And with current backlogs, some borrowers could end up staying in the property many months without making payments. So, it's often in the lender's best interest to accept a payment from another buyer for less than what the borrower owes, particularly if there are an abundance of homes for sale in the area, the value is declining and the property is deteriorating. Borrowers, of course benefit because they are relieved from the burden of their monthly payments which they cannot afford. A short sale usually takes place prior to foreclosure, therefore, a foreclosure doesn't appear on the borrower's credit record. Buyers benefit as well. They are often purchasing a property at a price they've negotiated to well below market-value. Lenders benefit by making the sales cycle quicker; avoiding the time and expense of the foreclosure process, and unnecessarily adding to their REO inventory. What's necessary for a successful short sale? First, of course, you need a seller who is willing to part with their home, and has accepted the fact that they're not going to make a profit from the sale. There are more borrowers in this position than ever before. Those who recognize that they must do something usually call their lender and explain that they can't make the next payment or they anticipate this scenario in the near future. Many times, if the lender can't work out a different payment arrangement, they'll tell the borrower that the best option is a short sale. Too many borrowers simply don't make the next payment and then avoid the phone calls & letters from their lender. Lenders require a "hardship package" from the borrower. This is similar to the original loan application, only in reverse. They'll want to know the borrower's current financial situation proving why they can't continue to make payments as promised. 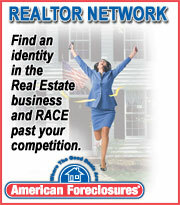 They'll also want to know about current and recently sold homes in the area, as well as the condition of the property. Along with the hardship package, the borrower must submit a formal contract of sale between buyer and seller. After reviewing the paperwork, the lender has the option of accepting or rejecting the buyer's offer or making a counter-offer. Typically, the contract must be written in a way that assures the lender that the buyer is paying for all costs associated with the transaction, that there are no contingencies, and that the seller is not walking away with any cash from the deal. In the past, lenders had the option to "bill" the borrower for the difference between the sale price and what was owed by way of a deficiency judgment or 1099, however, after the signing of The Mortgage Forgiveness Debt Relief Act of 2007 by former President Bush, amendments have been made to remove such tax liability and allow the borrower and lender to work freely together to find a common solution that is beneficial to both parties. This protection is limited to primary residences so consultation with a tax advisor is necessary to ensure that a borrower qualifies. Need more information? Call (201) 501-0200.